we made melting Snowmen biscuits. Mrs Wiggam said we did a FANTASTIC JOB. I think you will agree - they look so CUTE! 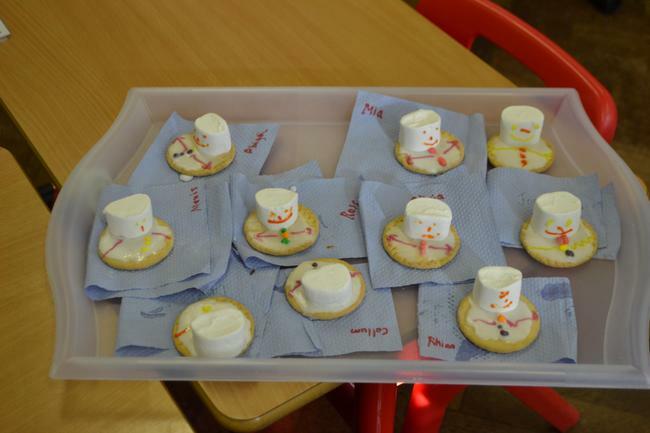 Making Snowmen Biscuits was FUN!